When people make fun of Christianity in this country it rightly turns the other cheek. When a young gymnast, Louis Smith, makes fun of another religion widely practised in this country he is hounded on Twitter, by the media and suspended by his association. For goodness sake Mr Speaker this man received death threats and we have all looked the other way. Charles Walker MP, challenging the Prime Minister over the state of free expression in the UK. It's a strange thing to say about a country in the middle of Europe, in the 21st century, but this is how it works  nearly all politicians here are afraid of the Catholic church. Anna Leszczy?ska, Polish women's rights activist. The fate of an illiterate berry picker on death row for blasphemy has gripped Pakistan in a [furore] of religious fanaticism. Few examples better illustrate the misplaced priorities of the Pakistani government and the country's Islamist ideologues. 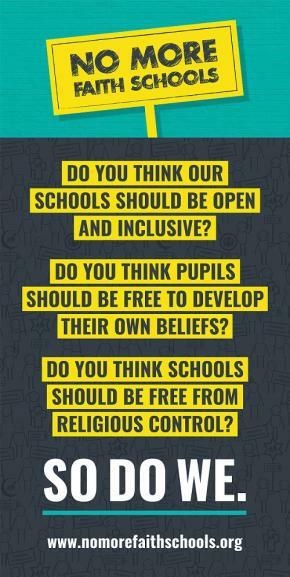 It is very frustrating that Theresa May is committed to creating more faith schools in a country which is already deeply divided. Faith schools segregate children along religious as well as ethnic lines. This will create generations of British children who have had next to no contact with people from different walks of life. In the absence of successful prosecutions, FGM remains a national scandal that is continuing to result in the preventable mutilation of thousands of girls. As someone whose work is concerned entirely with the promotion of community cohesion and integration, the Government's proposals to drop the current requirement for new religious schools to keep at least half of their places open to local children, regardless of religion or belief, is incredibly worrying. Professor Ted Cantle, founder of the Institute of Community Cohesion. Nothing in the idea of secularism opposes the practice of Islam in France, provided it respects the law. We brought our children to this country to seek refuge from Pakistan in 1991 fleeing persecution, religious hatred, discrimination and a danger to our lives because we were Ahmadis. We never thought that we could be in danger here. The parents of murdered shopkeeper Asad Shah. We need to be rigorously secular in our civic realm for the common good of all. Philip Wood, letter to the Guardian. Let us not forget that women can be killed for things that we would deem almost trivial here in the West, going out at night with friends, having a boyfriend, marrying someone whom you love, wearing what you want. Iram Ramzan, writing on the 'honour killing' of Qandeel Baloch. With brute force, the jihadists are contesting the idea that Bangladesh can be a secular country... a country where Hindus and Muslims are part of the same nation. So, irrespective of whether and to what extent ISIS was involved in [last] Friday's attack, it was an event conceived and born in Dhaka, not Raqqa. Arif Rafiq, fellow at the Centre for Global Policy. 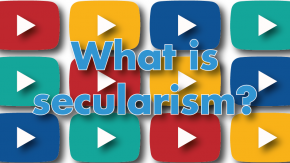 secularism grants citizens freedom of [and] from religion. A state that is secular is neutral, but still abides by one rule: Your religion, beliefs, or lack thereof, must not harm others or be out to destroy the nation. A secular state is inclusive of everyone regardless of their faith. Shafiqah Othman Hamzah, The Malay Online. I don't call myself a Muslim politician; I'm not a Muslim spokesperson or leader, and it's important to clarify that because otherwise you're defined solely by your faith. 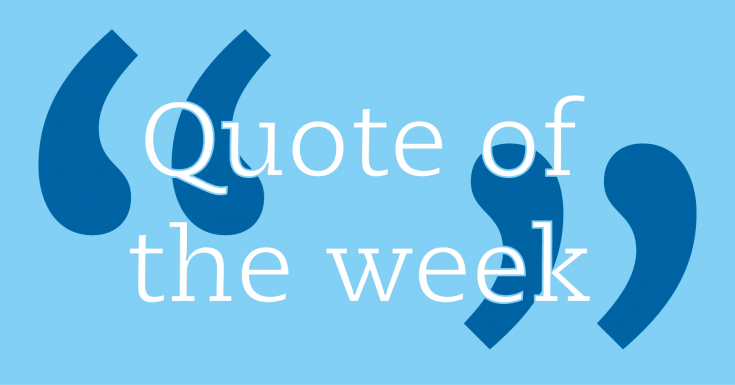 We all have multiple identities, I'm a Londoner, a son and a father, and City Hall isn't a pulpit. As the founding fathers of America appreciated, religion and state should be separate; the less each interferes with the other's affairs the better. But there are exceptions. There are times when the state does need to interfere, to fulfil its overarching duty to protect all its citizens and ensure that all are equal in the eyes of one secular law. School should focus on academic subjects, skills, British values and religious tolerance, which will help counteract extremism in the young. We can leave communicating about faith to the families. 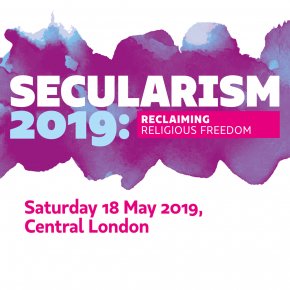 If you're for liberty, if you're for equality and free speech and free expression and freedom of thought, then it's good to be an advocate for secularism. Before this escalates any further and becomes a habitual political tool, we should act to stop religion from re-entering our political discourse and becoming a key factor in the political choices that we make. Until Muslims, en masse, can get even a basic handle on the concept of personal liberty and freedom, something people of other faiths and no faith throughout Europe have generally managed to do, I fear that as far as the harm Islam can cause, we really ain't seen nothing yet. I am celebrating the greatness of Western Secular Democracy. In this day and age of Takfiri Deobandi/Wahabi terrorism and Islamophobia, London has risen above discrimination and bigotry and emerged as great centre of human civilisation setting a great example for the world. Khurram Zaki, The last post of Khurram Zaki, a liberal Pakistani activist hours, before he was murdered. While radicalization and extremism have rightly been identified as troubling, bigotry cannot be banned. Instead, it should be subject to robust challenge. Mr. Erdo?an's definition of secularism is simple and good enough: That the state should be at an equal distance to all religious faiths including no faith. That's fine. But the trouble is, the state is NOT at an equal distance to all religious faith or no faith. What Turkey has gone through since 2002 is a de facto violation of constitutional principles often through the executive, including police powers of the state, its legislative majority and control over the judiciary. it might be too early to write the obituary of a secular Bangladesh. If only the same could be said for secular Bangladeshis.